KISS Archives - Horror News Network - The Horror News You Need! This June, fans will be treated to a horror comic with an unlikely combination of characters. 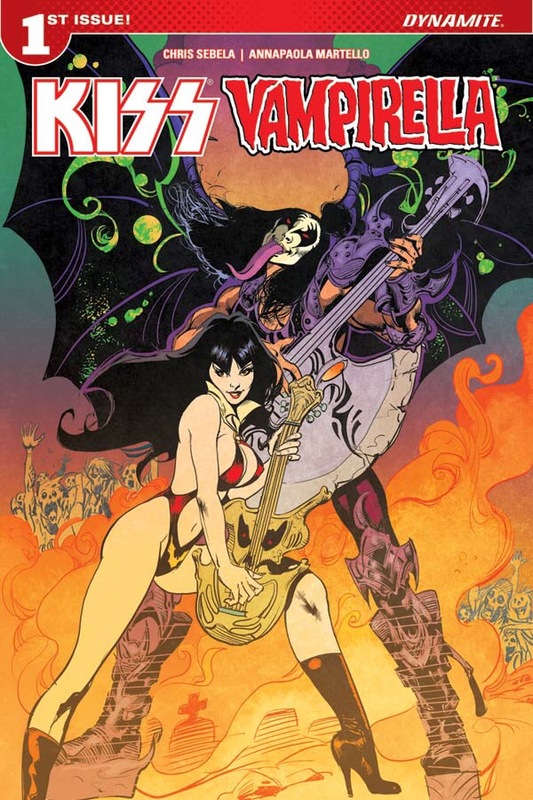 Dynamite Entertainment has paired the rock band KISS with Vampirella to bring together two iconic brands into a single comic. KISS/Vampirella #1 will be a mini-series written by Chris Sebela (Captain Marvel, Alien vs. Predator) and illustrated by Annapaola Martello (Scarlet Witch, Spider-Gwen).